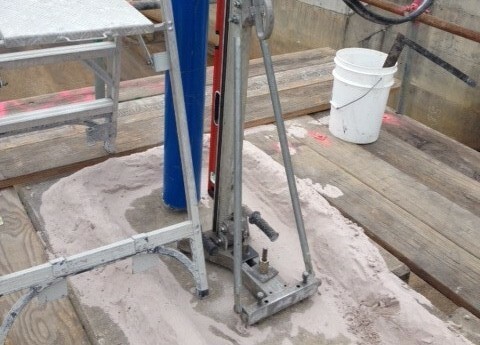 Drilling holes from the top of the dam to the gallery below allowed for no margin for error. 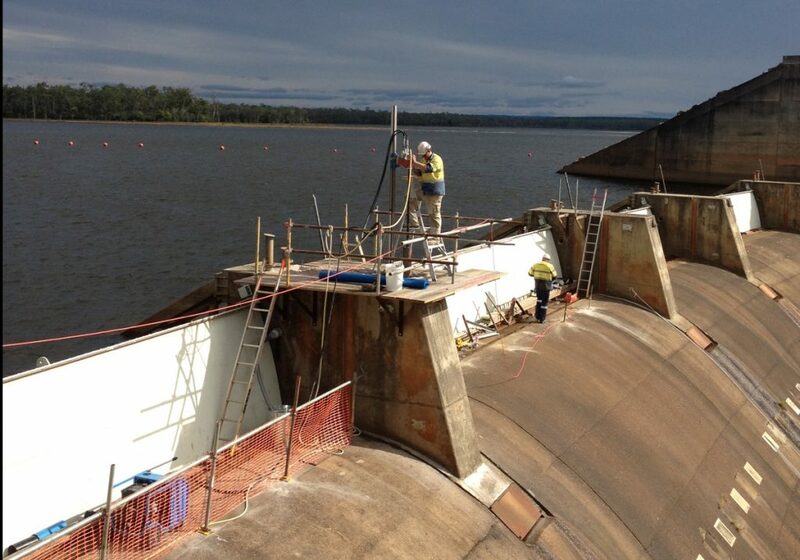 ACE was contacted here to help do core drilling from the top of the dam wall to the gallery below. With the requirements of the project it was important that the work was completed to the highest calibre. The cores were 5 metres deep with 150mm diameters, hydraulic services were required to run from lower level gallery to the top of the damn wall. Each position was marked on top of the wall and in the gallery below so accuracy was critical, especially over the 5 metre distance. We used hydraulic drills, power packs, cores of vary lengths (up to 2 metres), extension rods, as well as designing our own snap and removal equipment for the cores as depth increased. We also implemented a recovery system in case we lost any segments from the barrels. Return to browsing all projects, and see more of the awesome work that we've done!